Sending new messages on iPad is very easy, but deleting these messages beyond the reach of a recovery tool is a different ballgame. Take for an instance; you have received several confidential messages such as reserve price tender, business information and other information that you would not like anyone to see. 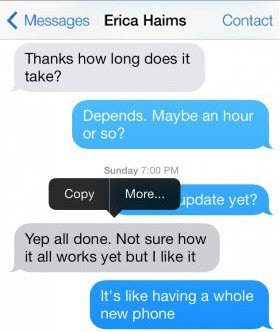 You are aware that your iMessage is keeping a record of this information, but since you are still using the iPad, you cared less about how to delete these messages from your iPad. You have acquired a new iPad and you would like to sell your used iPad to make up for the cost of the new one, it now occurred to you that you will need to delete iPad messages in order to get rid of those sensitive and private messages, and keep them unrecoverable. iPad provides one of the most convenient ways to handle communication through messaging. However, organizing messages within your iPad message app is near impossible. This is the reason why most iPad users have loads of unmanageable messages. These messages contains many private info, they are very important to you. Directly delete text messages on your iPhone is not always safe, it still can be recovered by some data recovery tools, but it is a easy way to remove private messages. Step 1: Click on the message app to launch it, go to the conversation where you want to delete. Step 2: Click and hold any conversation you would like to delete, then click on "More" from the drop down menu. Step 3: Select the conversations you would like to delete and click on the trash icon. Step 4: Confirm that you wish to delete the selected conversation by clicking on Delete Message. This auto-delete option has been specifically added due to increasing demands on iOS 8 and onwards. You can go to “Settings > Messages > Keep Messages under “Message History”. You can then select from the three options, 30 Days, 1 Year and Forever. Here you can either choose the forever option which would never delete any messages; or the 30 days option which would delete messages after every 30 days; or the 1 year option. This would easily manage your entire data storage problem without any effort or wastage of time. If your iPad has many messages which are very important to you, and you worry about these information will be restored by data recovery tools, even though you have deleted them. Don’t worry, this article will tell you some effective ways you can ensure that the message files you have deleted are 100% unrecoverable. Manually deleting your iPad messages thereby leaving them to be recovered by chance. 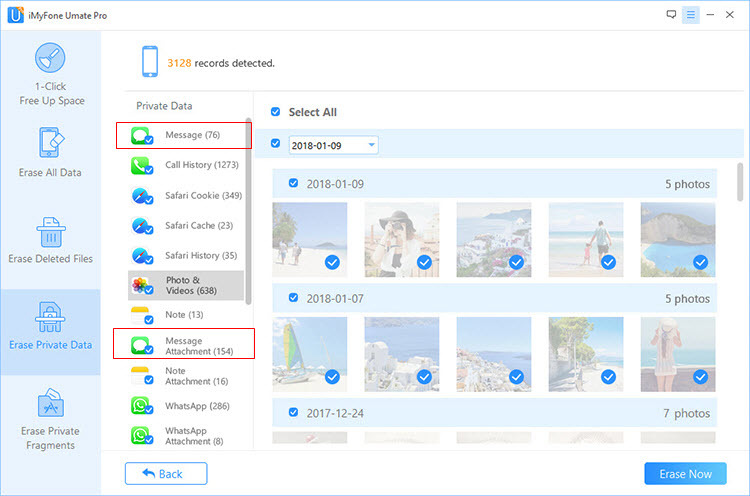 iMyFone Umate Pro is a data eraser and it can securely delete your iMessage files in order to keep them unrecoverable, This powerful erasing tool uses top-notch analytical technologies to identify and single out all personal information stored in your iPad. With iMyFone Umate Pro, you do not need to worry over your account information, Private messages, sensitive business information, browser history, emails and embarrassing messages on your used iPad. 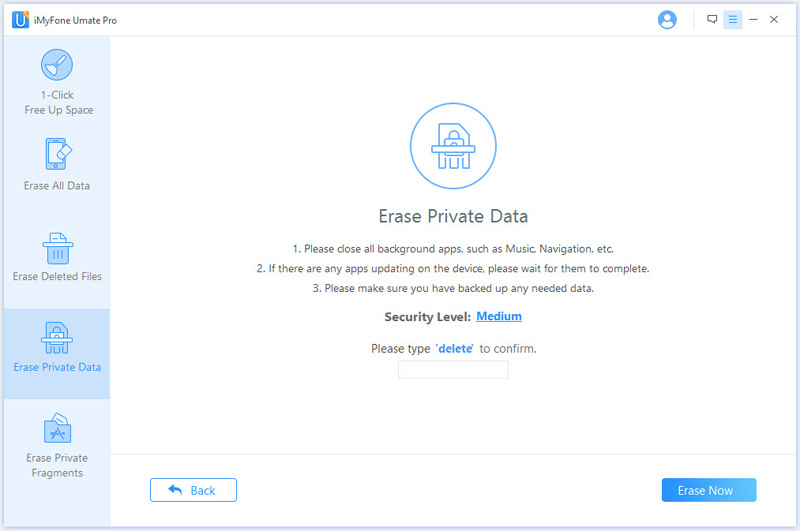 Erase Private Data: make sure the private data ( includes messages, contact, call history, note, Safari history, photo, video, voice memo, third-party App data etc.) will be unrecoverable, keep your personal information safe. 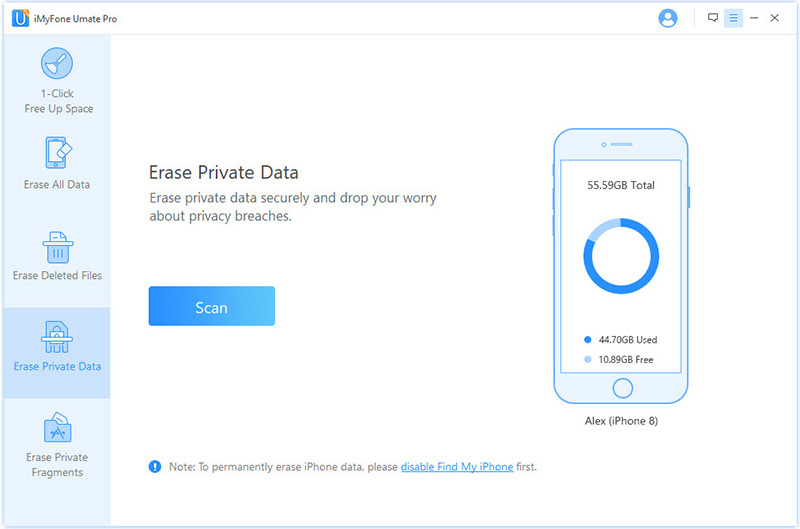 Erase Deleted Files: detect the deleted files which still exist on our iPhone and iPad, and erase them permanently and make them no longer accessible or recoverable by any iOS data recovery tool. Erase All Data: Your iOS data will be wiped out totally and everything stored on the device will be gone. 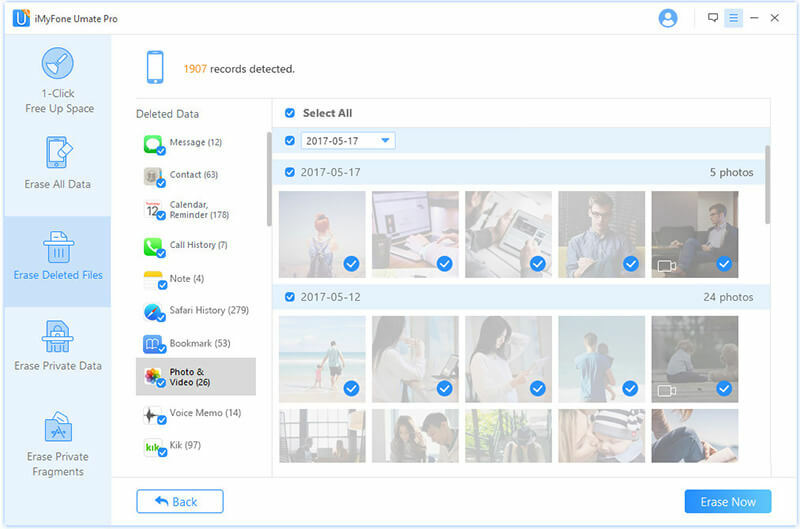 One-click Free Up Space: It allows you to remove junk files and temporary files, compress/backup/delete photos, delete/backup large files, manage apps etc. Its interface is user-friendly for most users. Its steps are easy to follow. To completely delete all messages on iPad, it just needs 3 simple steps. It is as easy as A B C.
1. Connect your iPad to your computer and let it sync. Choose “Erase Private Data” tab and hit “Scan” button. 2. It will show you the scanning result. You can click “Messages” to preview. All messages are automatically checked. You can also uncheck some wanted messages and hit “Erase Now” button. 3. 3.Type “delete” into the box to confirm and tap “Erase Now” button to begin the process. 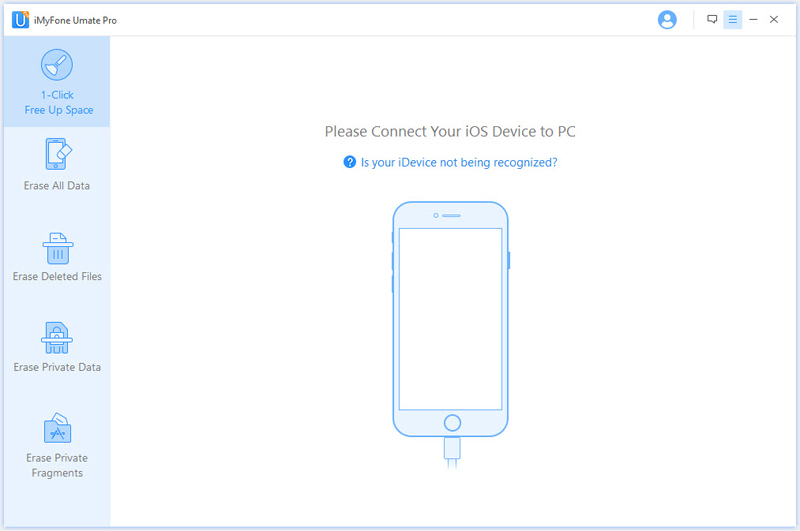 Step 1: Connect your iPad to your PC after downloading and installing iMyFone Umate Pro and launch the app. 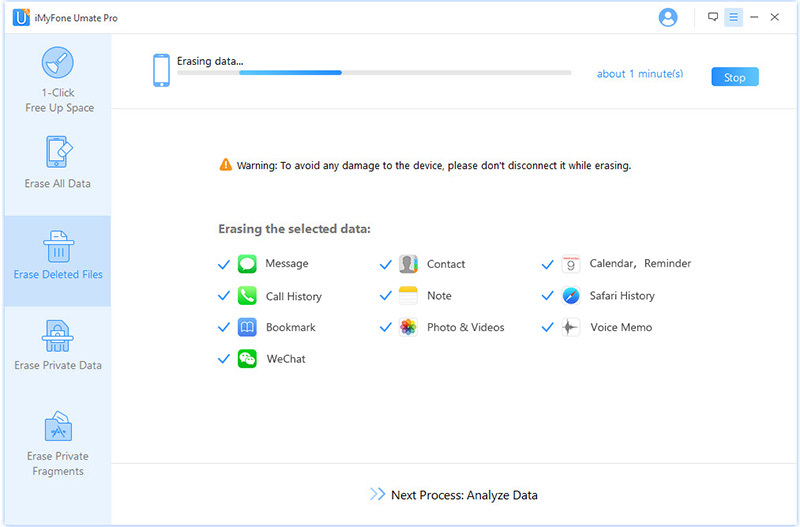 Step 2: Tap on "Erase Private Data" tab and click on "Scan" for iMyFone Umate Pro to scan your device. Step 3: Select the private files you would like to erase, type "delete" to confirm your request. Click on "Erase Now" to complete the process.